During the winter time, my local farmer’s market turns bi-weekly and about half the size of the vendors. 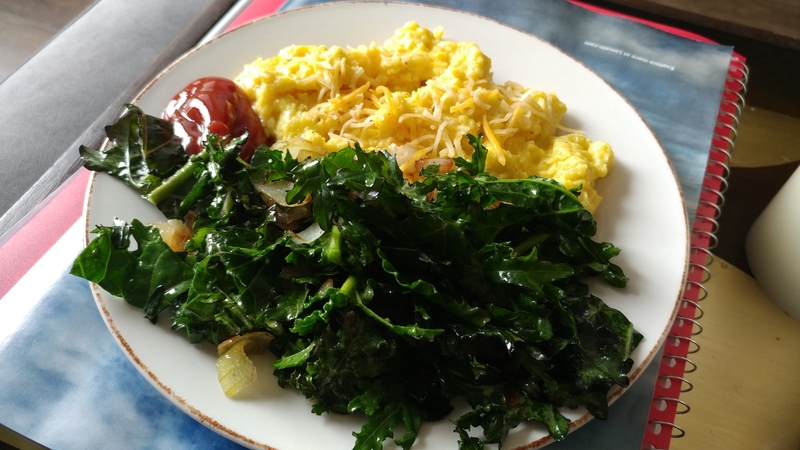 Two weeks ago, one of the farms had a hybrid kale/brussel sprout and it was pretty delicious fried up with onions. They sold out of it today, so instead I bought some kale and my staple favorite, pasture-raised eggs. The kale was very bitter, almost horseradish-y. I’m glad I served it with sauteed, sweet onions as it needed something sweet to break up the bitter.